And just like that, Loyaldog is back a new surprise! The good kind, that is. Rob Dayton has recently incorporated a feature that all of you would love: COLOR CODING for your JOB TYPES! Don't you just love how easier it is for you to just take one glance at the jobs in a certain case and right away know through the color it has what type of job it is? Try it! First, you need to configure the colors for the job type. 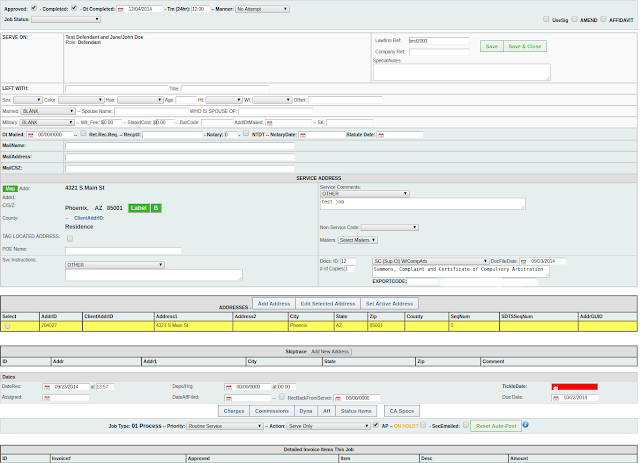 Go to Configure > General Setup > Job Types > Click on the Job Type > Case Color Code and choose a color. Then, when creating a job, click on the type of job. Automatically, the color will appear when you browse them through the list of jobs for that case. Check out the walk-through of this feature here. Get Additional Info On Address With MAP/MELISSA!